Find out why Jamaica should be your next holiday destination! Jamaica is a luxury island destination that has it all. Whether you want to relax on the beach, trek through mountains, or dive into a new and invigorating culture, Jamaica has something for everyone. If you are still deciding on where to visit for your next trip then let us help – here are a few reasons why Jamaica should be your next holiday destination. You can only truly become one with the music of reggae in its birthplace – Jamaica. The music of Jamaica is so deeply rooted in its culture that it is something that is enjoyed over and over and can be found at every turn. Bob Marley’s impact on the island, and the world, has made reggae so popular, but there is also local music like steel drum bands that are just as exciting. 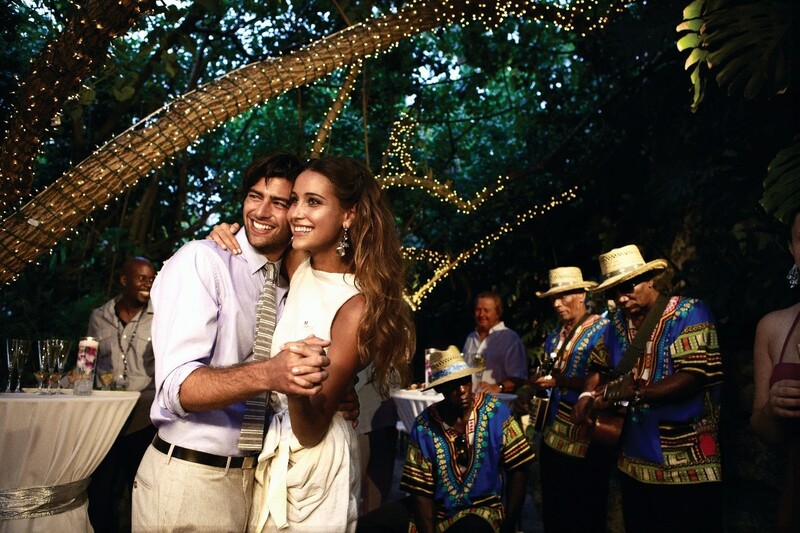 Once you hear the music of the island, it will be hard to resist getting up and dancing the night away. Couples Resorts offers live music in resort, so you won’t have to travel far to feel the rhythm! Jamaica offers some of the most pristine beaches in the world. Seven Mile Beach, where Couples Swept Away is situated, is famed for its white sandy beaches, towering palm trees, and crystal-clear water. 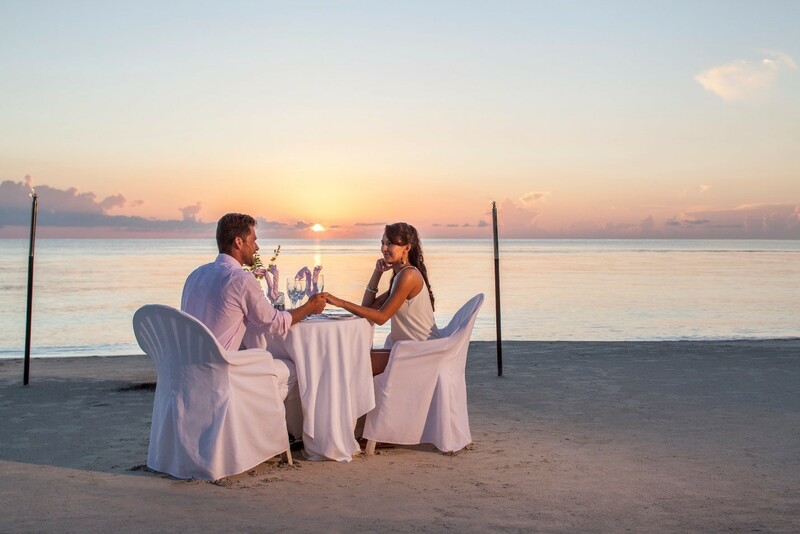 For the ultimate day of relaxation, Couples can unwind on the white sandy beaches from sunset to dusk. If you prefer an action-packed day, there is an array of beach activities for you and your loved one to enjoy. Add excitement to your trip with jet skiing, stand up paddle boarding and parasailing. Learning to scuba dive or going snorkeling in Jamaica will allow you to see the amazing coral reefs and tropical fish. The food of Jamaica is one of the major draws for the tourists that return year after year. Jerk chicken is one of the most famous Jamaican dishes you can get! With the meat slow roasted for hours over pimento wood in spicy seasoning and served with a side of festival, this dish is a real explosion of flavours. Try the local seafood with the national dish of ackee and saltfish, or pick up the fresh produce from the island markets to taste the sweet, unusual, fruits of Jamaica that you cannot get at home. With Jamaica’s stunning landscape and fabulous weather conditions, there truly is no other place like it in the world. Explore the outdoors with Couples Resorts’ excursions, all part of the all-inclusive package. Try ziplining through the mystic mountain rainforest canopy to see the meandering rivers and wildlife beneath you, for a truly unique experience. Take a hike to Dunn’s River Falls to see the magnificent waterfalls, or get your blood pumping by exploring some of Jamaica’s hidden caves. 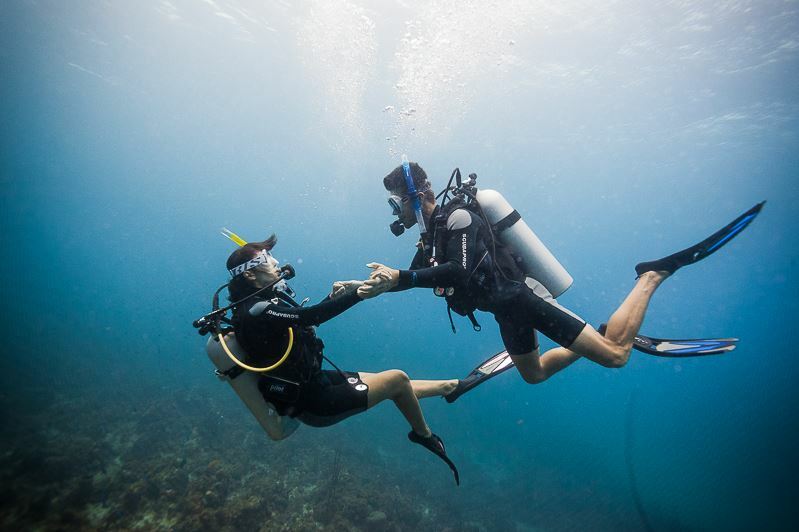 With countless adventure activities to choose from at Couples Resorts, you can rest assured that you will be kept busy during your holiday to Jamaica! Thinking of visiting Jamaica? Tweet us @CouplesUK for more information.